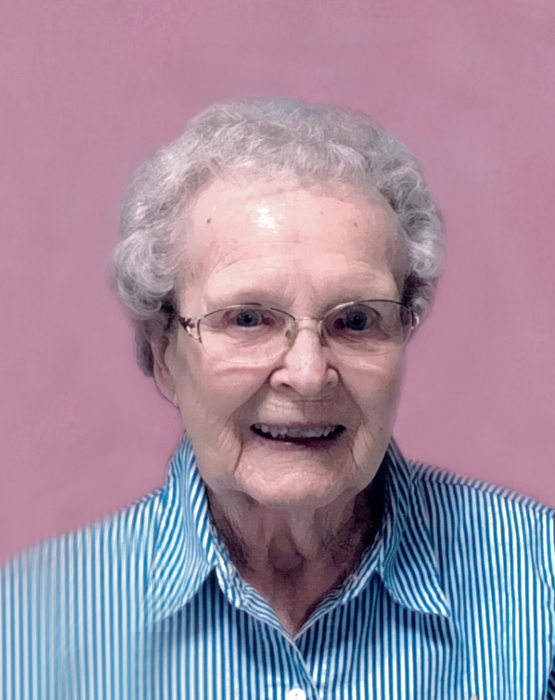 Ruth Virginia Hinkle, 87, of Plainville, Indiana, passed away peacefully, with her family by her side, on Thursday, July 5, 2018 at Ketcham Memorial Center in Odon. She was born on October 28, 1930 in Knox County, Indiana to William and Ara (Bicknell) McKelvey. Virginia became the wife of Billy Dale Hinkle on January 2, 1947. Virginia was a cook at the Iron Kettle until retiring in 2005. She enjoyed most of all being a homemaker and taking care of her family. Survivors include: two sons, Bobby Dale (Dottie) Hinkle of Plainville and Jacky Ray (Killeen) Hinkle of Westerville, OH; five grandchildren, Renee (Ivan) Judy of Plainville, Yvonne (Eric) Hill of Mascotte, FL, Jacky (Stacey) Hinkle, Jr. of Washington, Brandie (Jesse) Trueblood of Odon and Jennifer Hinkle of NC; seven great-grandchildren, Audrey (Ryan) Martin, Evan Judy, Lindsay Vair, Lacey Vair, Sierra Keene, Maci (Seth) Briggeman and Issabella Hinkle; one great-great-grandchild, Nevaeh Briggeman and one brother-in-law, Harold Edwards of Vincennes. Virginia was preceded in death by: her parents; her husband and sister, Mary Gertrude Edwards. Funeral services are scheduled for 10:00 AM on Monday, July 9, 2018 at Parkview Christian Church at Plainville with Rev. Alfred Helms officiating. Virginia will be laid to rest in Plainville Cemetery. Visitation is scheduled from 4:00 PM until 8:00 PM on Sunday, July 8 at Meng Family Funeral Home in Odon and 9:00 AM until time of service at 10:00 AM on Monday at the church.